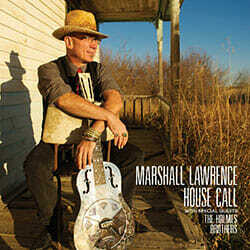 Marshall Lawrence’s new CD “House Call” is on Chef Jimi Patricola of Blues411 Tasty Additions List (July 29, 2013) !! That’s 2 consecutive weeks !! I am one happy Blues Dude !!! !